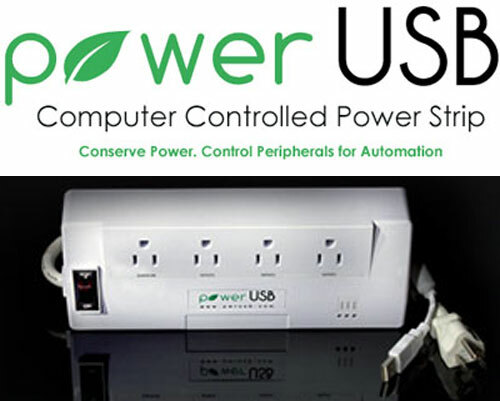 The Standard Basic model ($69.99) (Figure A) comes with a MicroUSB port that connects the power strip to your PC via the included USB cable. You connect the power strip and install the PowerUSB software (available for Windows, Mac, and Linux), and you have access to a system tray app that allows you to customize the behavior of the power strip. 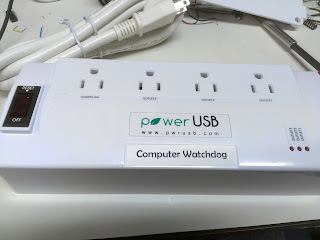 The menu buttons on the software change depending on which power strip you’re using. On the main screen (Figure B) you can: control the power state of three of the four outlets on the strip (the fourth outlet is always on and intended for your PC), calibrate the consumption meter to a zero state, and access the Advanced and Scheduled menus. The Outlet Details area allows you to set the outlets on or off by clicking the box or by a Ctrl-Shift-Key combination. These key combinations will enable and disable the corresponding outlets even when the app is minimized. You can also select an option here to automatically power-on Outlet 3 when you send a print job, leaving your printer powered off until it is needed. The Output window on this page displays the current consumption and cost of electricity consumed by the attached devices. On the Advanced Options page (Figure C) you can configure the individual Default PowerUp State of the three controlled outlets, configure variables (including the price-per-unit of your electricity), and configure outlets to reset if a ping to an external site fails. The last feature is intended to reset a broadband modem if a ping to a WWW address fails three times in a row. In the Timed On-Off menu (Figure D) you’ll find advanced timer and schedule features that can be customized for each of the three controlled outlets. The options available cover more situations than typical programmable power timers. The Computer Watchdog model ($89.99) (Figure E) offers all of the features of the basic model, plus the ability to detect a hung computer by heartbeat and power-cycle it as well as a graceful scheduled shutdown cycle (Figure F). This is probably the most interesting model from an IT pro’s perspective. In the Watchdog Options dialog (Figure G), you can set the heartbeat interval and the criteria triggering a hard reset of the PC. If the system hangs or crashes and the heartbeat becomes unresponsive, the Watchdog will hard cycle the outlet that your PC is plugged in to. You can even select how long the power is disabled to the outlet, allowing the PC to “rest” before restarting. Your system must support “automatic start on power failure” and be enabled in BIOS. The Watchdog series also features a Shutdown And Computer Off Options menu section that allows you to schedule a daily shutdown and start time for the connected PC. This doesn’t just hard-cycle power, but it initiates a graceful OS shutdown. While there are lots of ways to initiate a nightly reboot of systems, the ability to shut down a system and let it sleep until a specified time when it will automatically restart is something beyond the scope of a GPO rule, script, or batch file. 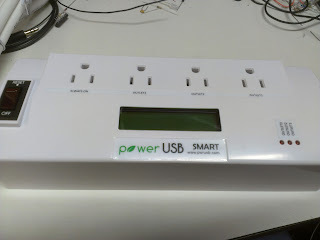 The Smart LCD model ($89.99) (Figure H) is designed to be a stand-alone power strip that can be connected to and programmed on a PC, and then used to remotely control access availability and power consumption on devices like TVs and home entertainment systems. The built-in LCD display allows you to perform simple administrative tasks without hooking up to a PC and displays information about energy consumed and scheduling programs configured on the device. The PowerUSB Digital IO ($109.99) (Figure I) is probably the most powerful and complicated of the four devices. This power strip has a connector terminal block that will take lead-ins for 5 and 12Vdc signals as well as a lead out for 5Vdc. 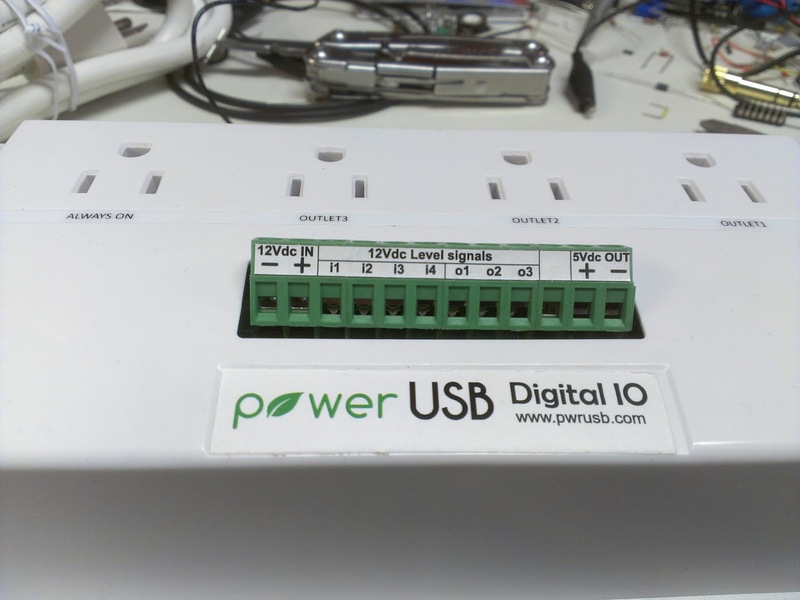 The Digital IO strip unlocks a new page of settings in the PowerUSB software, allowing you to set various trigger states and responses depending on the voltages being monitored on the terminal block (Figure J). 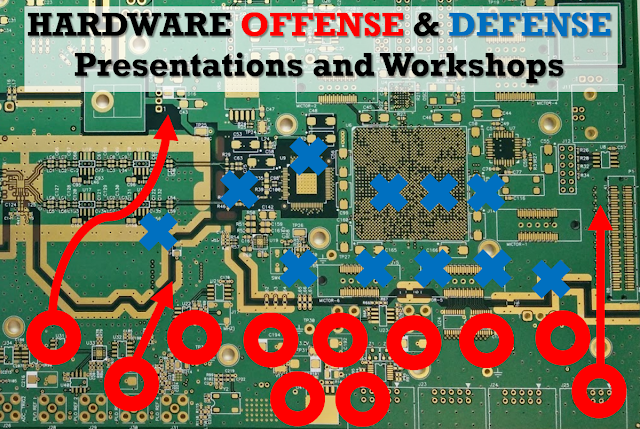 The features here go beyond the typical system administration role and begin to cross over into more advanced electronics engineering projects. Overall, I think these devices are an excellent option for a Hackers or individuals looking to save power and/or experiment with Home Automation. 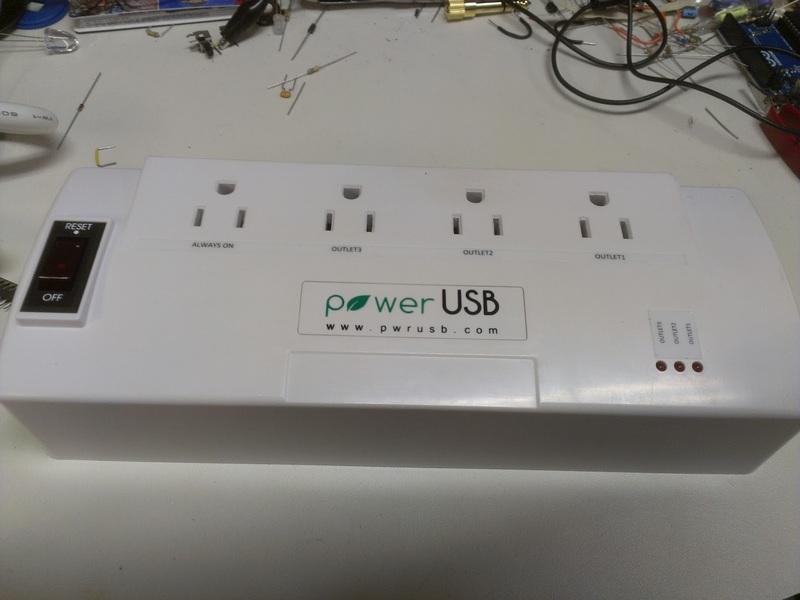 From automating a waiting room television’s schedule to a consultant setting up a RDP server that is available only at certain times of the day or for certain durations, there are numerous examples where the PowerUSB strips could be useful. Despite the upfront expense, I believe that the power savings by turning off vampire devices can pay back for the strips in a short time!